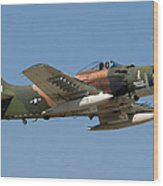 Douglas Ad-4 Skyraider iphone x case by Adam Romanowicz. Protect your iPhone X with an impact-resistant, slim-profile, hard-shell case. The image is printed directly onto the case and wrapped around the edges for a beautiful presentation. Simply snap the case onto your iPhone X for instant protection and direct access to all of the phone's features! Congratulations on your new sale Adam, nice shot! 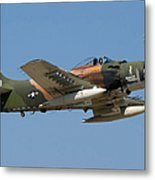 Talk about an aircraft that could take a beating! great shot! One of the finest aircraft ever built. 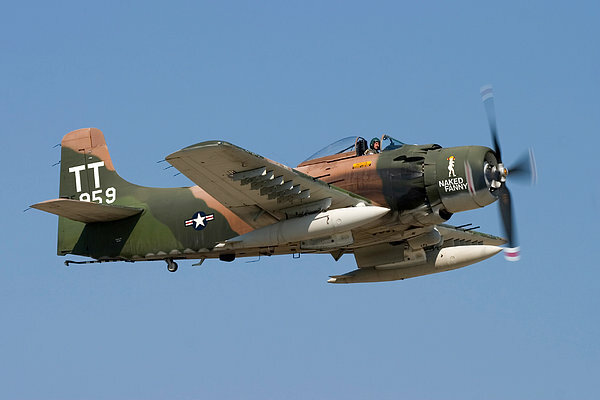 Skyraider is only one of it's names. 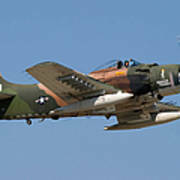 It had more configurations than any other aircraft. Excellent photograph. Vintage Douglas AD-4 Skyraider (Naked Fanny) airplane in flight over the Oshkosh Airshow. Copyright � Adam Romanowicz. All Rights Reserved.